Greek Salads are always hard to make neat or elegant. 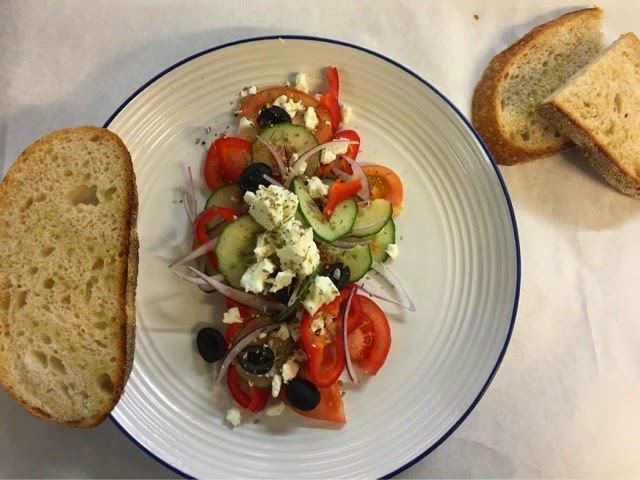 The beauty of a Greek salad are the fresh sun blushed beef tomatoes, creamy yet crumbly feta and tasty olive oil from a local olive grove, or the best you can get in a local deli. 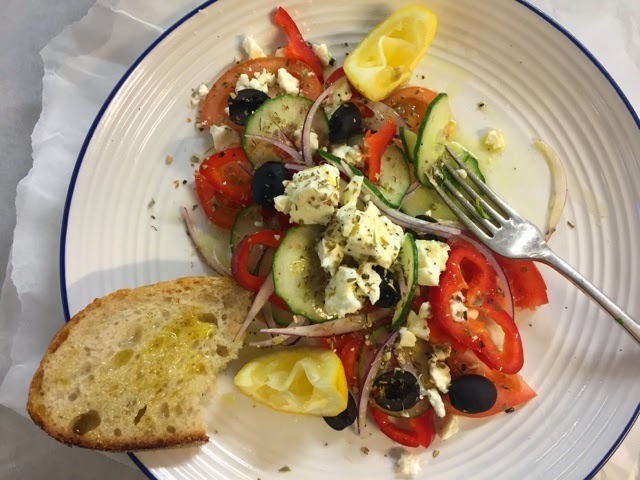 Traditionally huge chunks of the juiciest tomatoes are chopped roughly with very little elegance together peeled cucumber and slithers of red onion and finally topped with a slab of feta, sprinkled with oregano and lashings of the freshest olive oil. 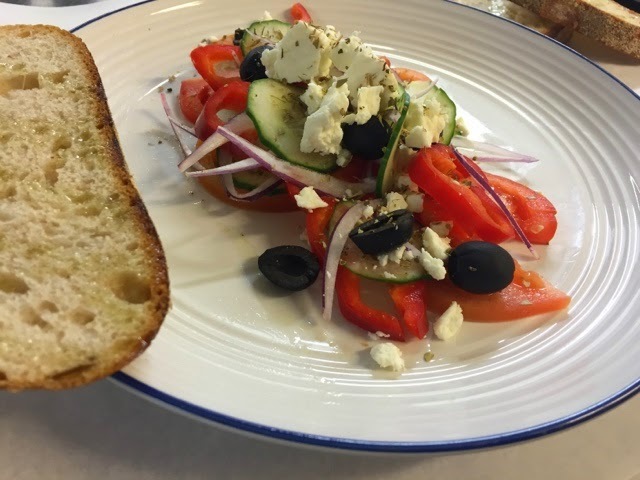 Last night I wanted to make a Greek salad that looked a bit more attractive and that could be thrown in the mix with other salads that exude elegance. leftover oil and final feta crumbs. Start by thinly slicing your peppers, your cucumbers and your tomatoes. Next chop your olives, crumble your feta and slice your onions. Now start building your plates. Do this in any way you fancy. If you are doing a starter you could layer your veg, if you are doing a platter you could be more liberal in your decoration and toss everything together before serving up with some olive wood servers or finally layer your salads onto toasted, garlic rubbed sourdough for a more hearty starter or side. Slice up your lemons into thick wedges and squeeze generously over your salads just before you are about to serve, this will really xing up your flavours and add a little boost of colour to your rainbow plate.